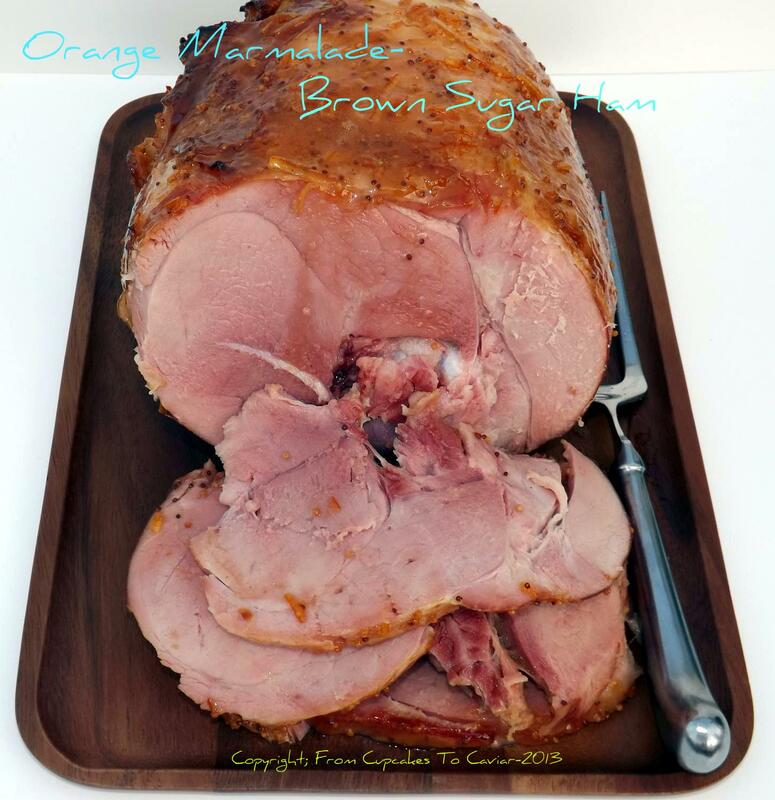 This Orange Marmalade Brown Sugar Glazed Ham is my absolute favorite way to make a ham. The ham turns out so moist and tender with such a delicious sweet/salty flavor you’ll keep coming back for. 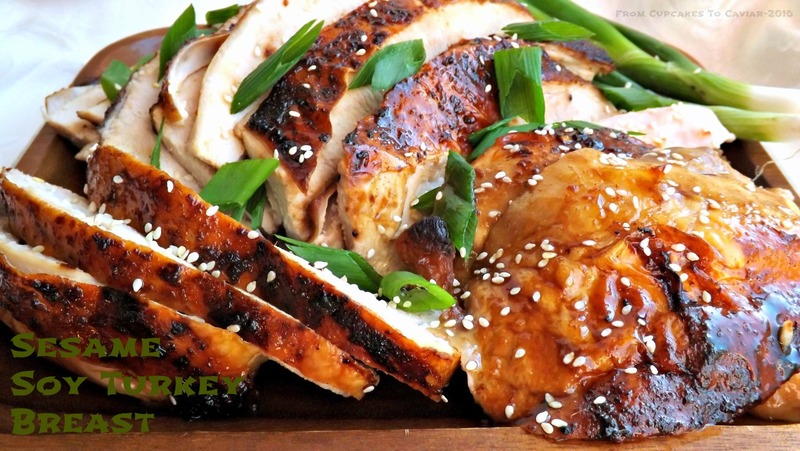 This Sesame Soy Turkey Breast is fantastic if you’re a cook who’s willing to leave the traditional box a bit on Thanksgiving. This glaze can also be used on a whole turkey, a chicken, game hen, you name it. 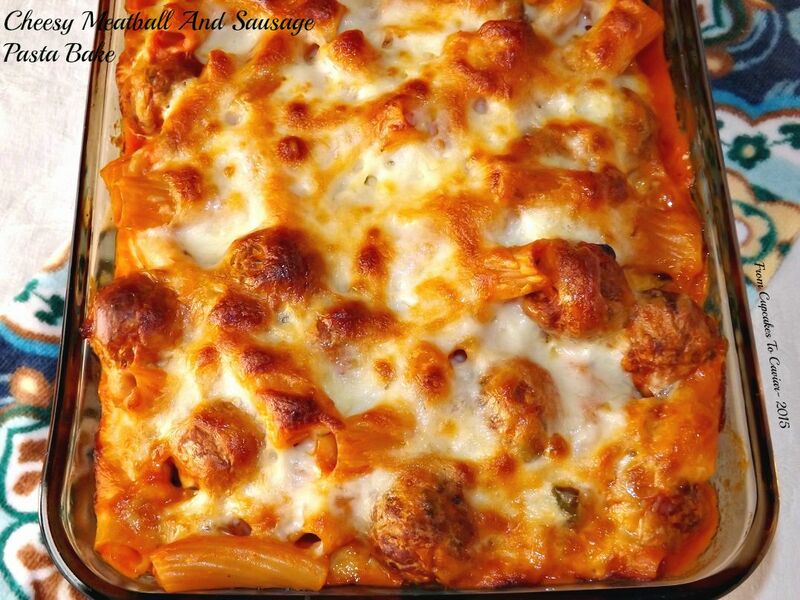 I know that a lot of families like to serve a pasta dish as one of the main dishes so I’m including our favorite, this Cheesy Sausage And Meatball Pasta Bake. This makes a LOT, so it’s perfect for Thanksgiving, when a lot of people are there, with everyone getting as little bit of each dish. Let’s move on to appetizers; those little bits you put out to keep everyone from storming the kitchen begging for food. 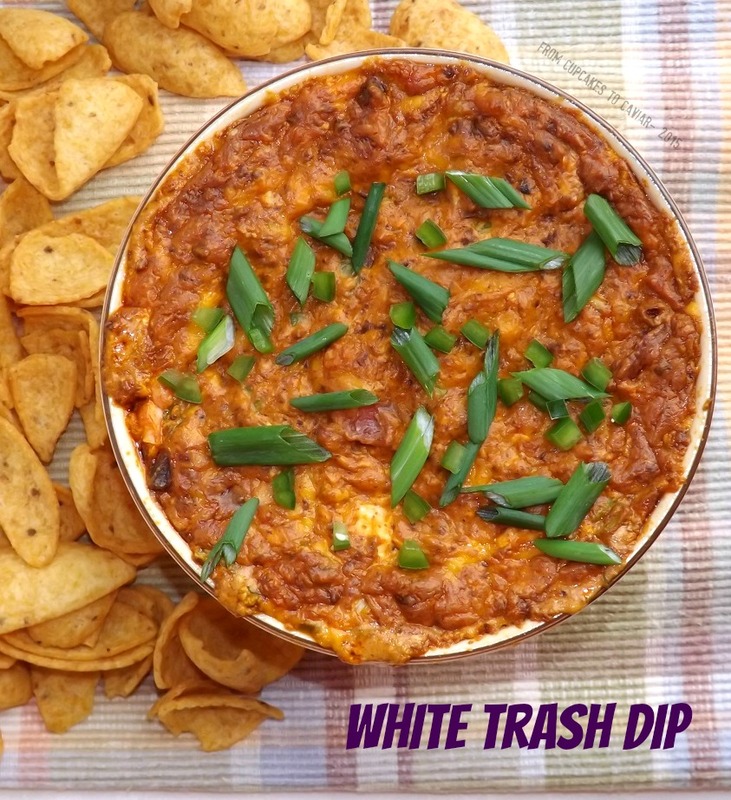 😛 One of my favorite easy dips (and when I say easy, I mean it) is my White Trash Dip. I know; such a classy name, lol. But it is great for appeasing the hungry mongrel hordes and quick to throw together, which is always a plus on Thanksgiving. I have adored Boursin Cheese for years, but man, that stuff is expensive for the small amount you get. So I started making my own years ago. 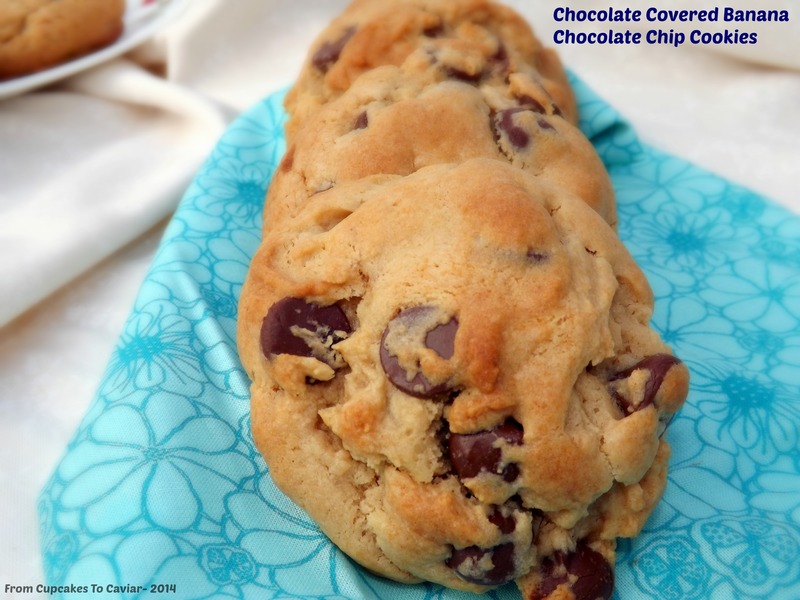 This is soooo good and always a hit. 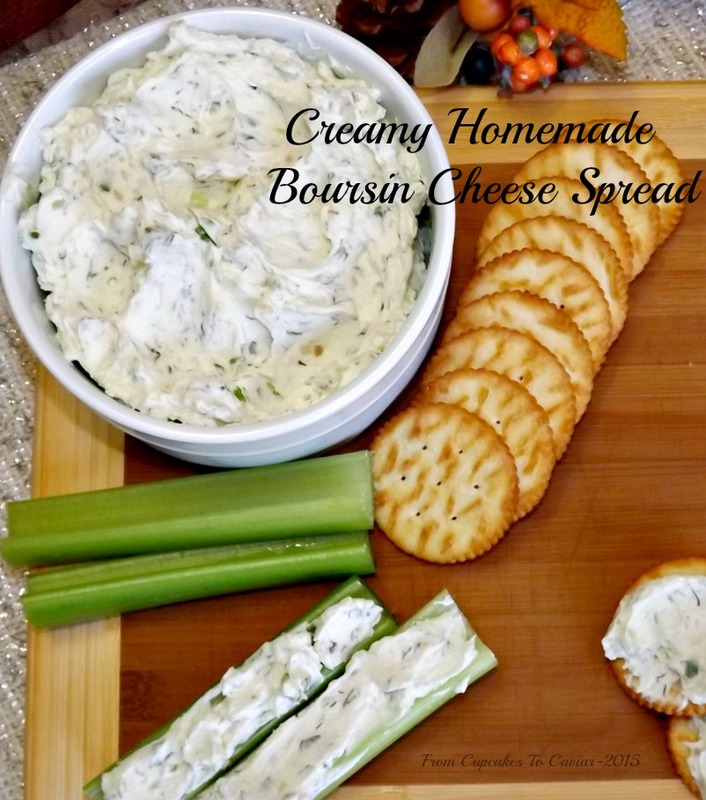 It’s creamy, great with veggies like celery sticks as well as crackers. If you have any left over, it also makes a great stuffing for chicken breasts. Ahhhh, side dishes. 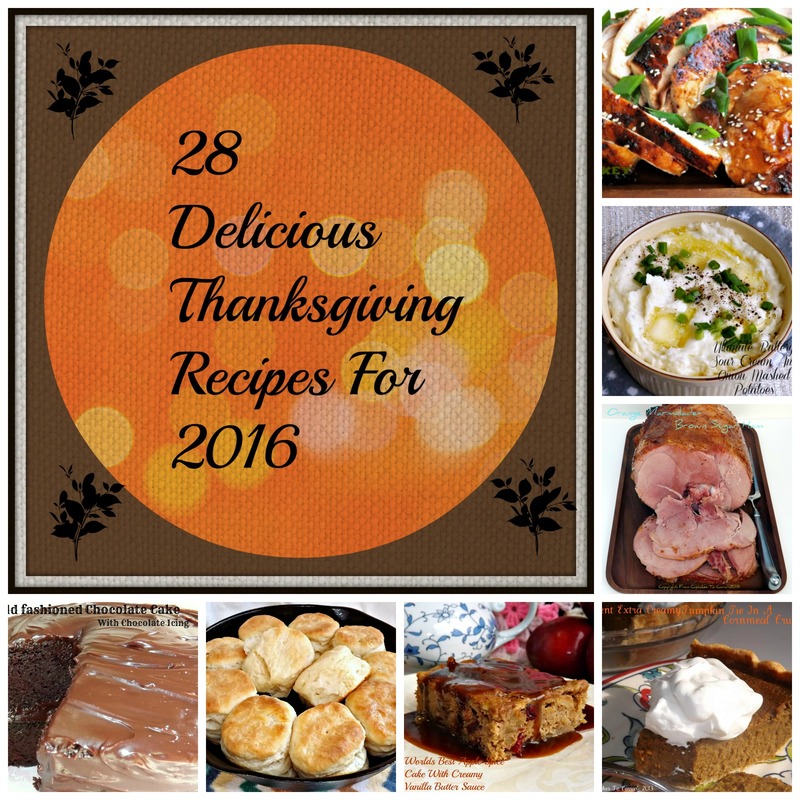 What would Thanksgiving be without 50 side dishes to serve with the turkey and ham? 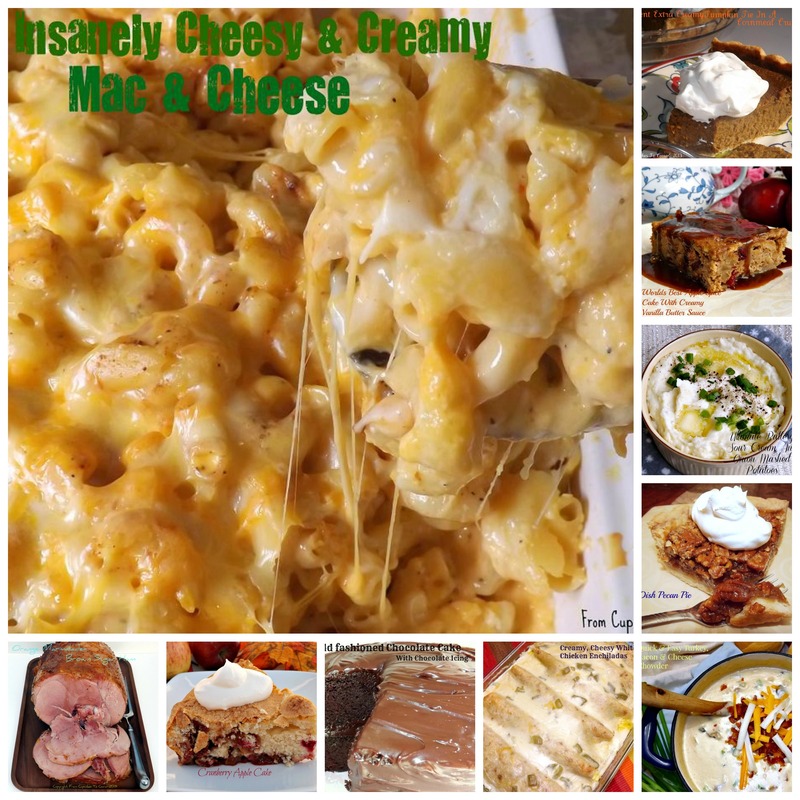 One of my all time most popular posts here at From Cupcakes To Caviar is my Insanely Cheesy And Creamy Mac And Cheese. 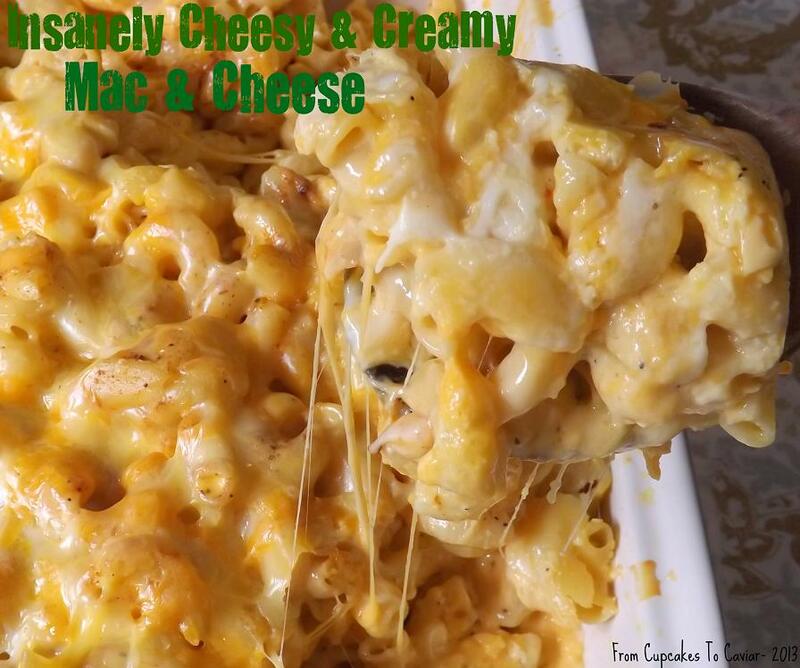 This makes a HUGE pan of mac and cheese, so it’s perfect for the holidays. You can’t have turkey without mashed potatoes, right? 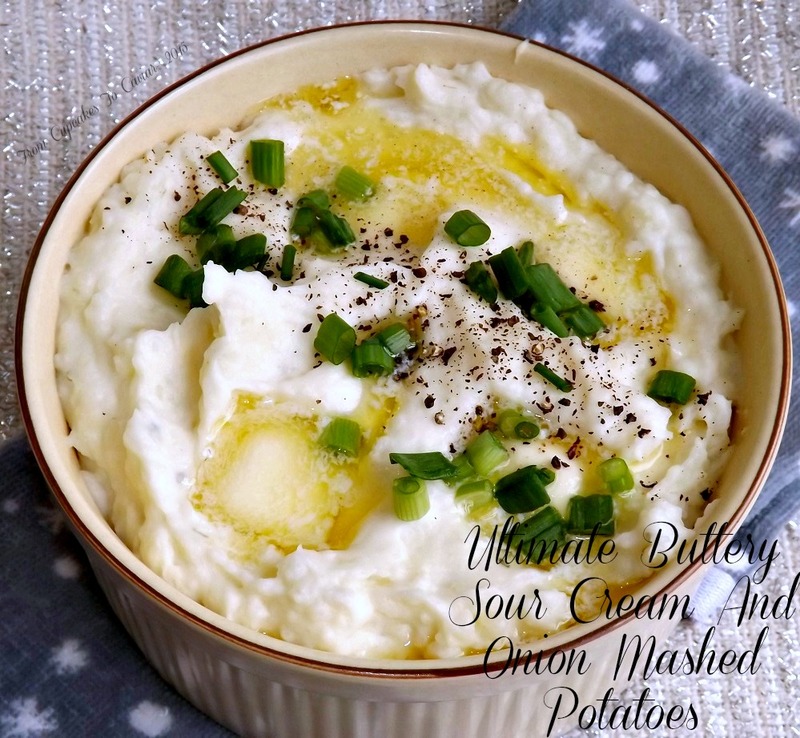 I was never a mashed potato fan until I made up these Ultimate Buttery Sour Cream And Onion Mashed Potatoes. I totally love these. 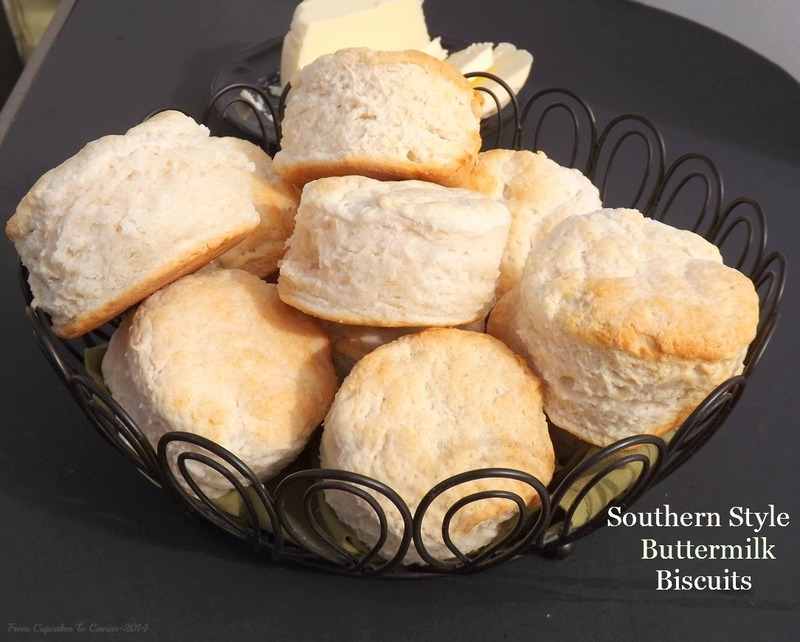 They are creamy, buttery (boy, are they buttery) and with a subtle tang from the cream cheese. 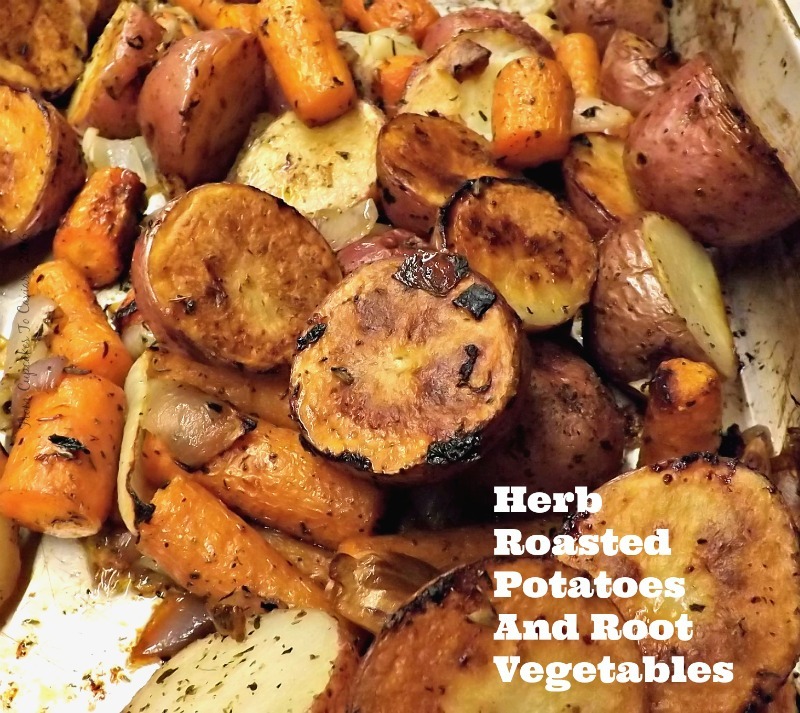 If you want to go a little different, you can’t beat these Herb Roasted Potatoes And Root Vegetables. 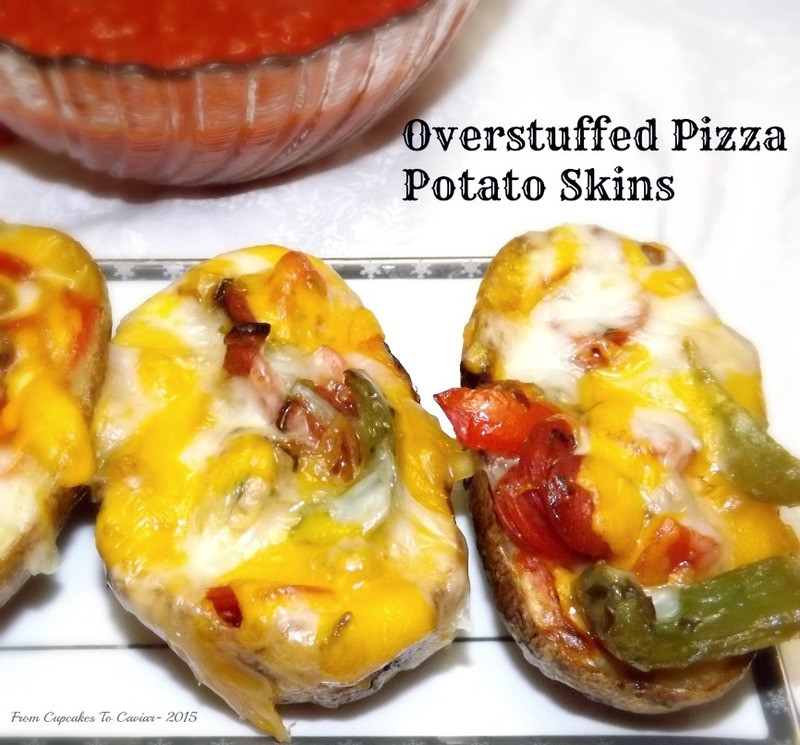 The potatoes and veggies get all crispy on the outside and all soft and tender inside. So, so good. I was never a cold pasta salad sort of a person until I made up this Chilled Caprese Tortellini Salad a few years ago. 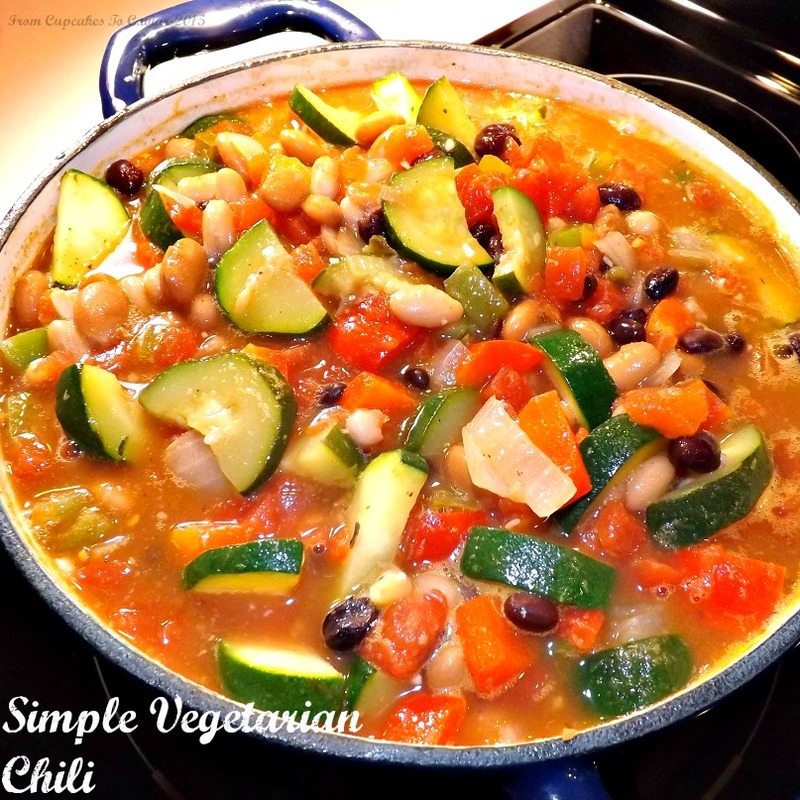 It’s great during the holidays for people who may want something a little lighter (and with no meat in it, lol) but still full of flavor. I have a major thing for Winter squashes. To me, they stand so far above the ubiquitous Summer squashes. 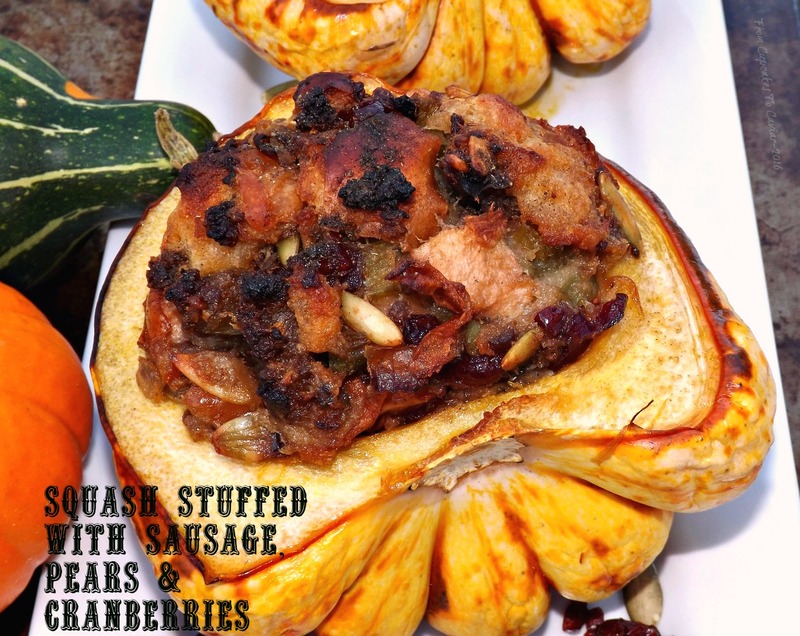 I took one of my favorites here and stuffed it to come up with Squash Stuffed With Sausage, Pears And Cranberries. 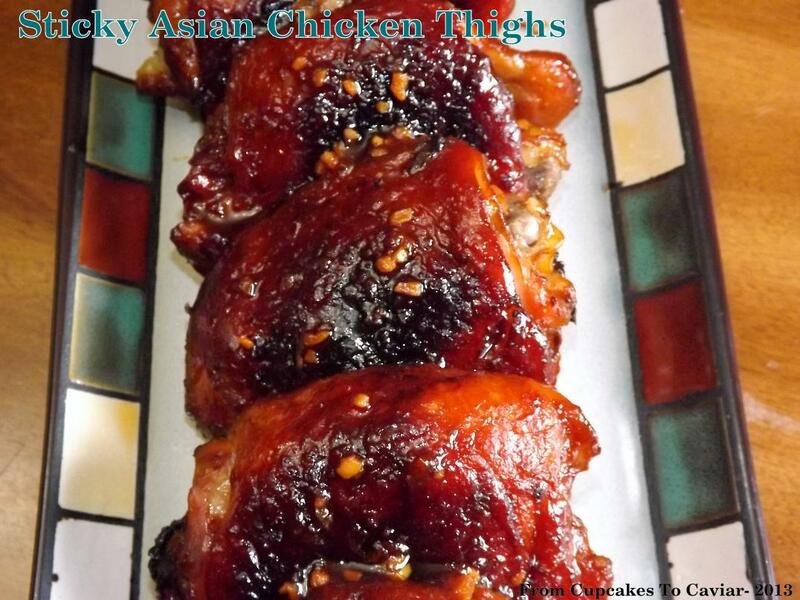 This is a fantastic addition to the holiday meal or a great light entree on it’s own. You can’t have Thanksgiving dinner without cranberry sauce, right? While I admit to a secret love for the kind that slithers out of the can with a loud plop, I also love homemade cranberry sauce and make a large batch every year. 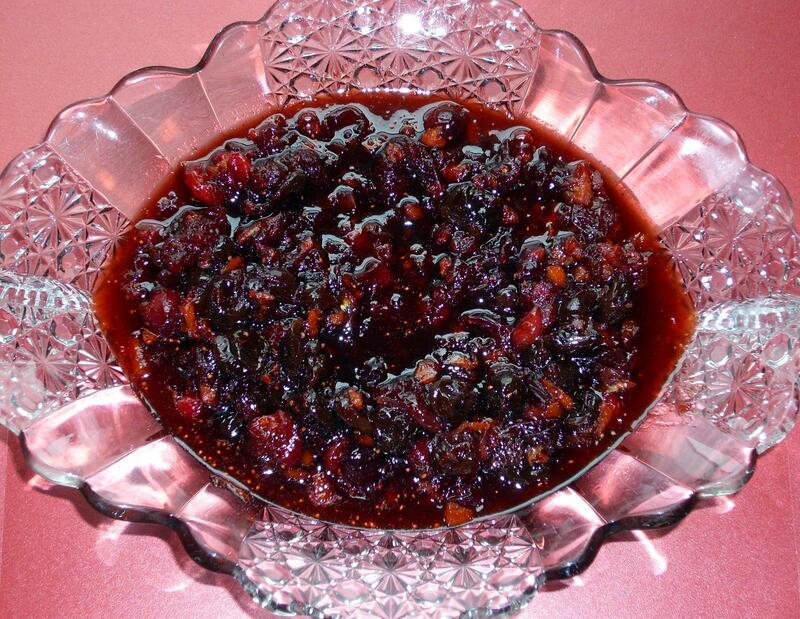 My Spiced Spiked Cranberry Sauce is a perfect foil for all the rich dishes you’ll be serving. The brandy is completely optional so don’t let that turn you away from it. Now we come to the breads. I’m not normally a big one for breads, but hot and fresh on the holidays? I tend to go for them more at that time. 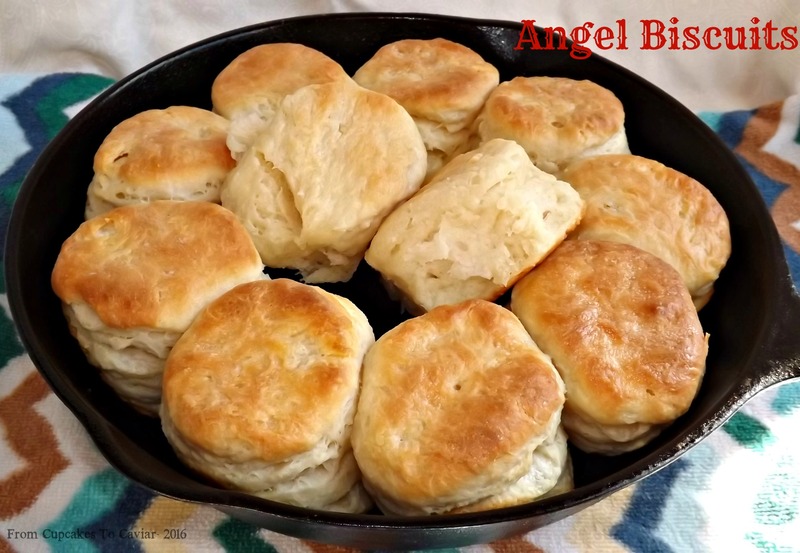 And these Angel Biscuits have become a family favorite. Since they have baking powder in them as well as yeast, they are fairly foolproof, which is great for the less experienced cooks out there. I love to make a few loaves of bread for Thanksgiving as well as rolls. They are so good with dinner and make fantastic sandwiches the next day. 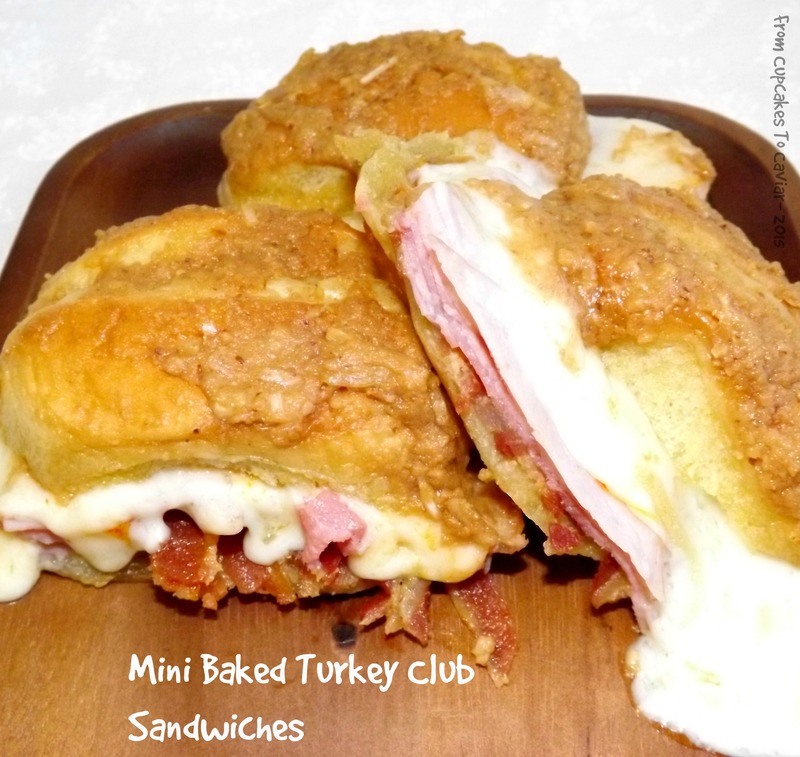 I particularly love to make my Loaded Baked Potato Bread, The flavors in it go wonderfully with a turkey sandwich! Here in the south, a lot of people like to make cornbread to go with dinner, even on the holidays. 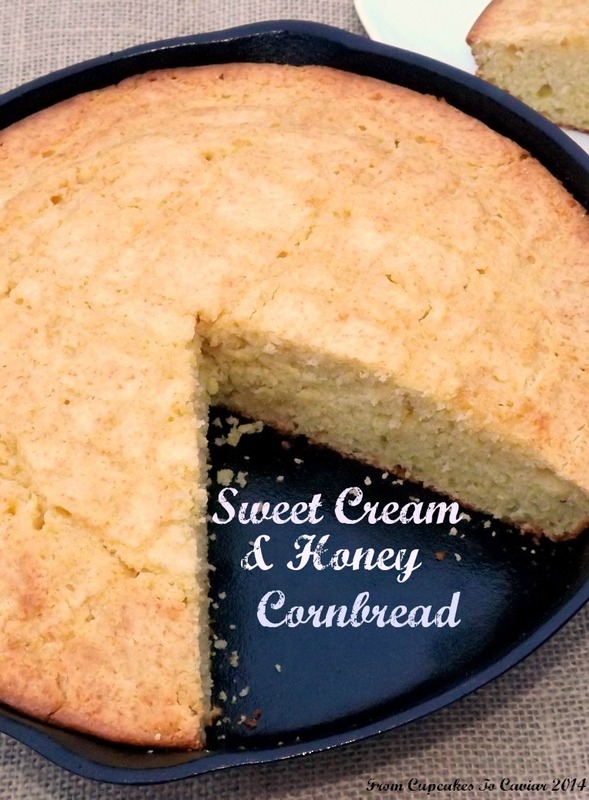 My Sweet Cream And Honey Cornbread is a favorite. It’s fluffy, not at all dry like so many cornbreads can be, with just a touch of sweetness. Then, of course, we have the part of dinner that everyone looks forward to; dessert! And man, you know I have some desserts to share with you! 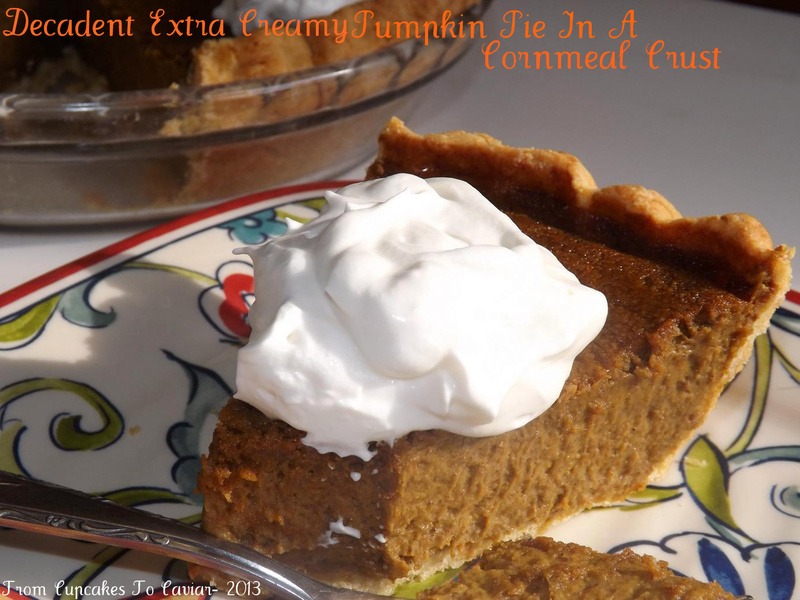 I have to start with the classics, of course, so here is my favorite- my Decadent Extra Creamy Pumpkin Pie. This one is posted with a really good cornmeal crust, but you can use your favorite crust. Just make sure it’s a deep dish one. That pumpkin pie tends to be my husbands favorite. Mine however will always be Pecan Pie. I love it slightly warmed with heavy cream poured over it. So bad for me, but so delicious! The last few years, my favorite pecan pie has had to vie with this Cranberry Apple Cake. I can’t say enough good things about this cake. It’s absolutely delicious and I can’t imagine the Thanksgiving meal without it now. It’s sweet, tangy, crispy, just a wonderful dessert that I look forward to all year. 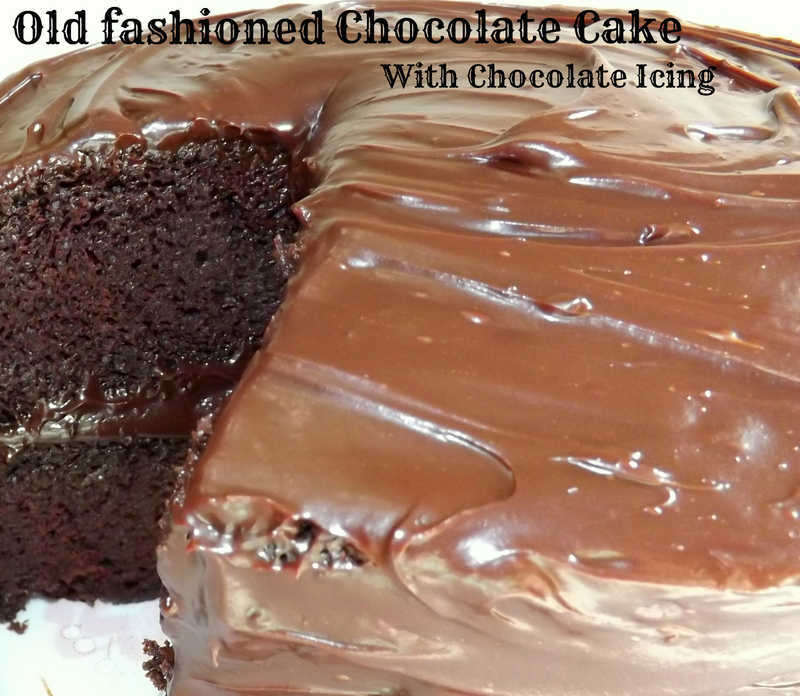 If you want a classic (not to mention, heavenly chocolate goodness 😀 ) you’ll want to make this wonderful Old Fashioned Chocolate Cake With Chocolate Icing This is a favorite with pretty much all age groups, and even those people who say Thanksgiving should be all about the pies. I’m not even normally a cake person and I love it! If you want to do a different apple dessert, my Worlds Best Apple Spice Cake With Creamy Vanilla Butter Sauce would be a great choice. It’s easy to throw together the day before you need it and then just warm up the sauce when ready to cut and serve. Again, I’m not huge on cakes, which is why if you see me posting one, you know it MUST be good. Or maybe you prefer a classic apple dessert? 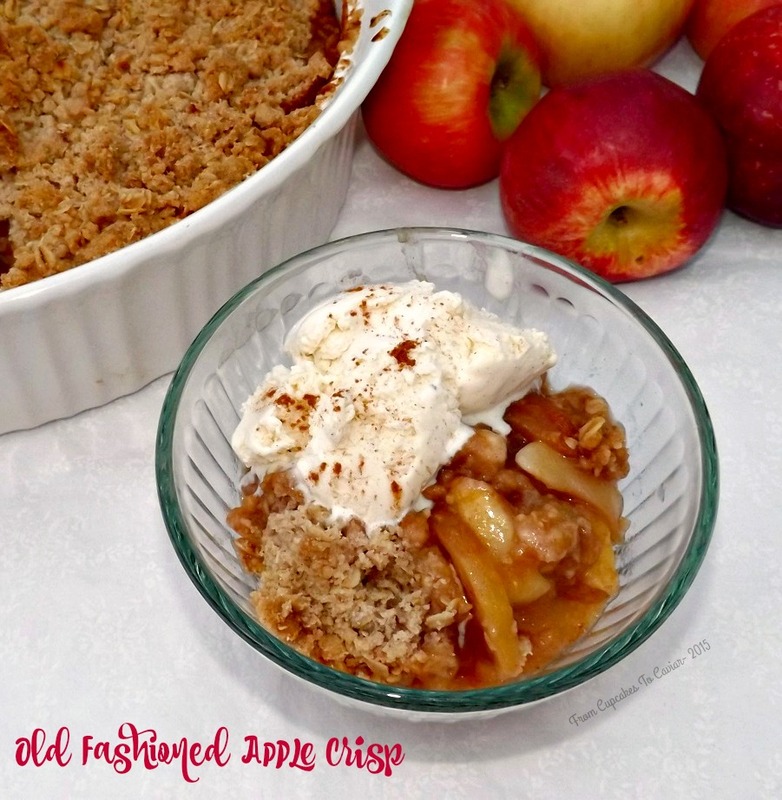 I find myself going for this Old Fashioned Apple Crisp all year round, but it’s a delicious choice on Thanksgiving! I have a couple of desserts for you that are a bit more elegant, plus not as heavy. 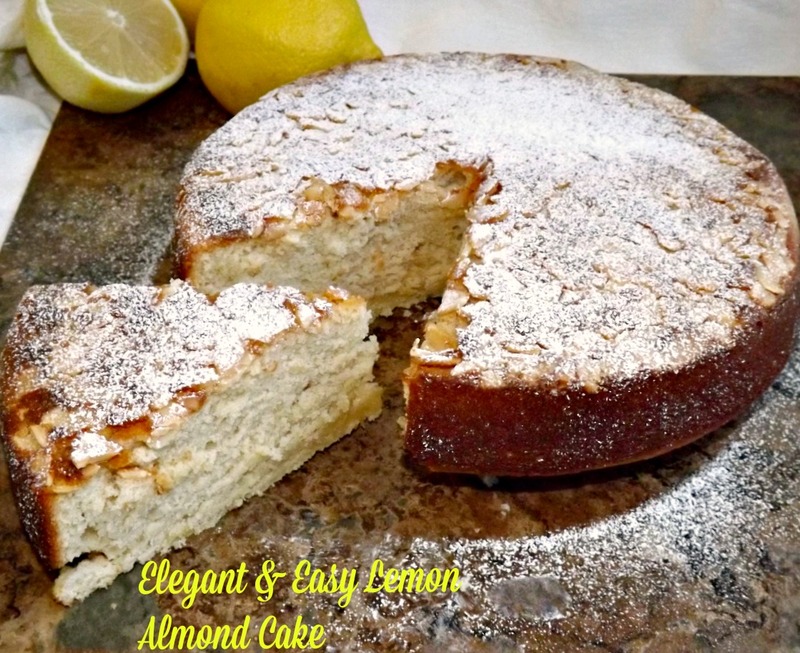 The first is one I love; my Elegant And Easy Lemon Almond Cake. 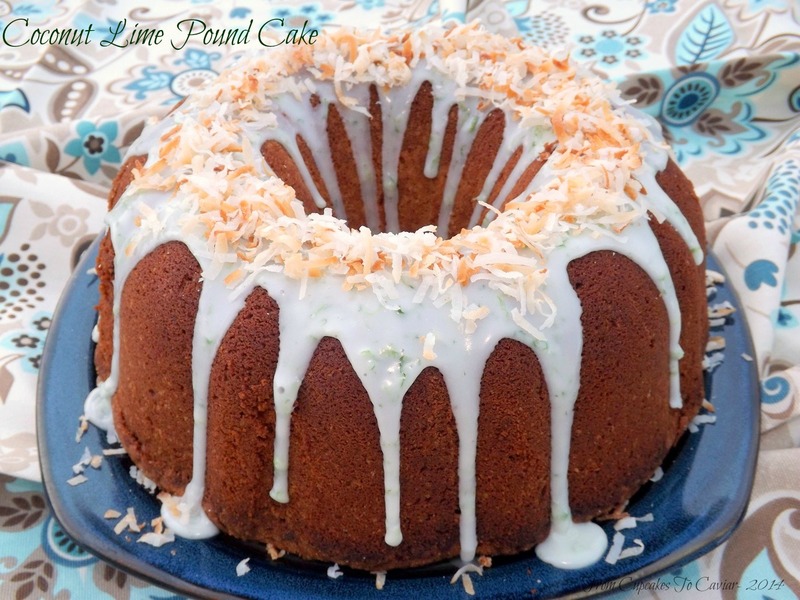 This cake is light and filled with the flavor of almond and lemon; perfect for the family members who want a little something for dessert, but don’t want the heavier sweets. 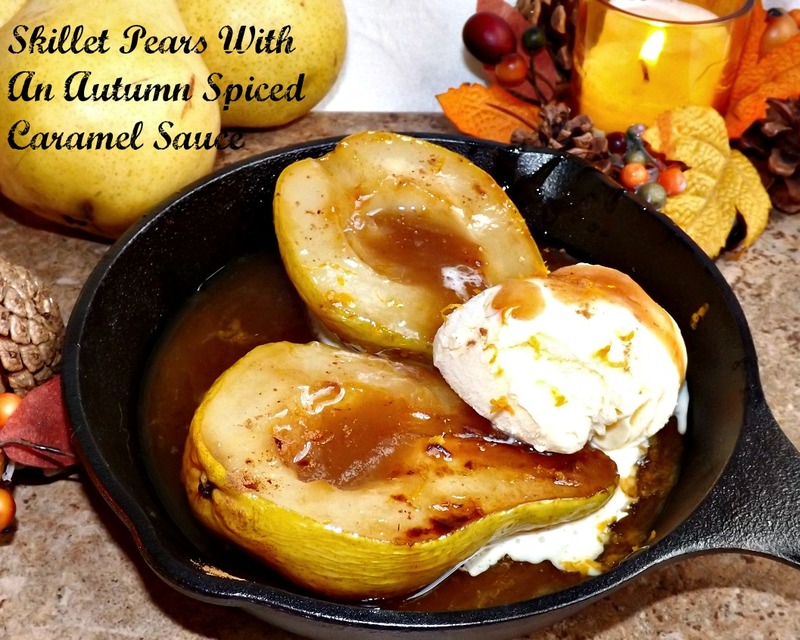 The other one is one of my more recent creations- these Skillet Pears With Autumn Spiced Caramel Sauce. 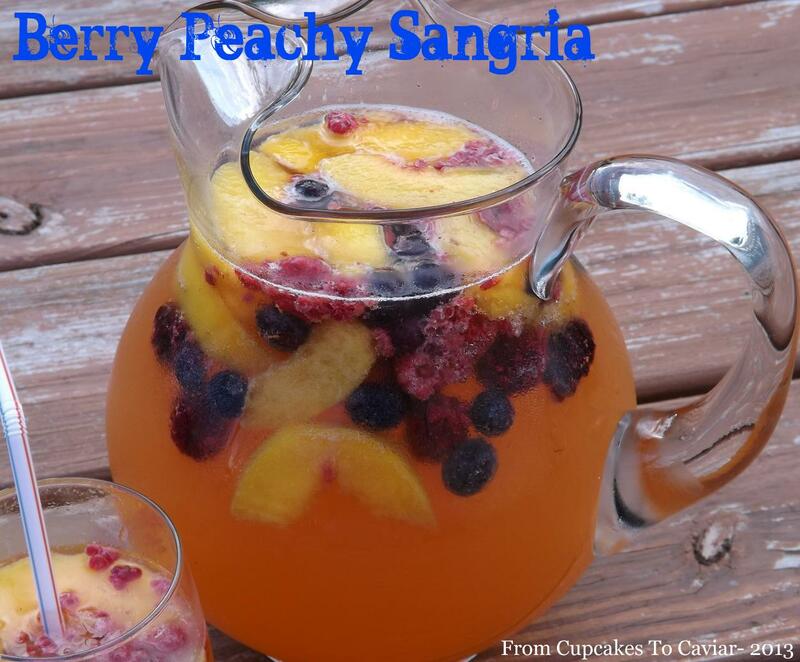 These are wonderful if you have a smaller gathering. The pears end up tender and juicy and the caramel sauce is fantastic. So, what to do with leftovers once Thanksgiving is over? When you tire of just making a plate of leftovers, I have some things you can do with some of them. If the title says chicken, obviously you can sub in that leftover turkey staring you in the face. We love Mexican food in my house. Yes, I know that much of what we all call Mexican food has been totally Americanized, but it’s still delicious, so who cares? 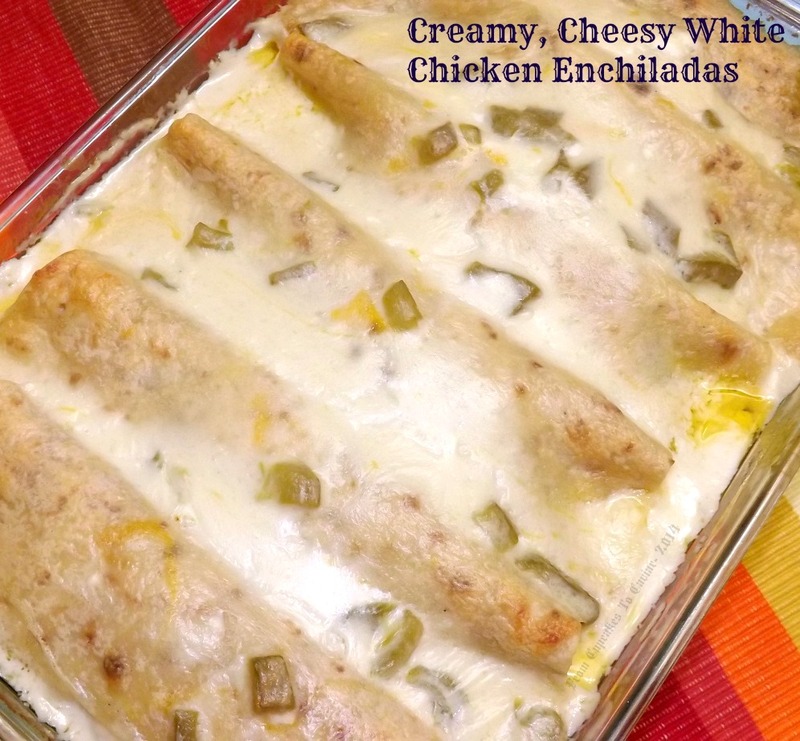 One of my family’s favorites are these Cheesy Chicken (Turkey) And Chorizo Enchiladas. 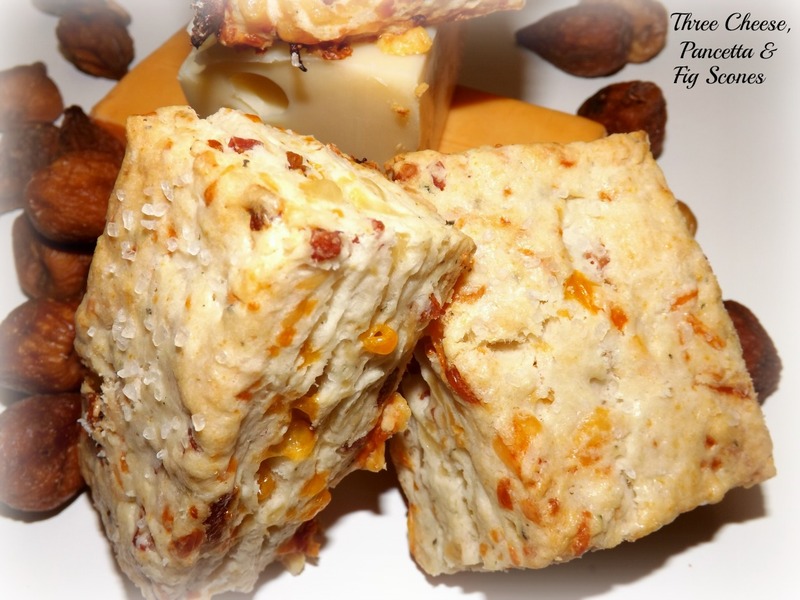 They have the perfect mix of creamy, spicy and cheesy. 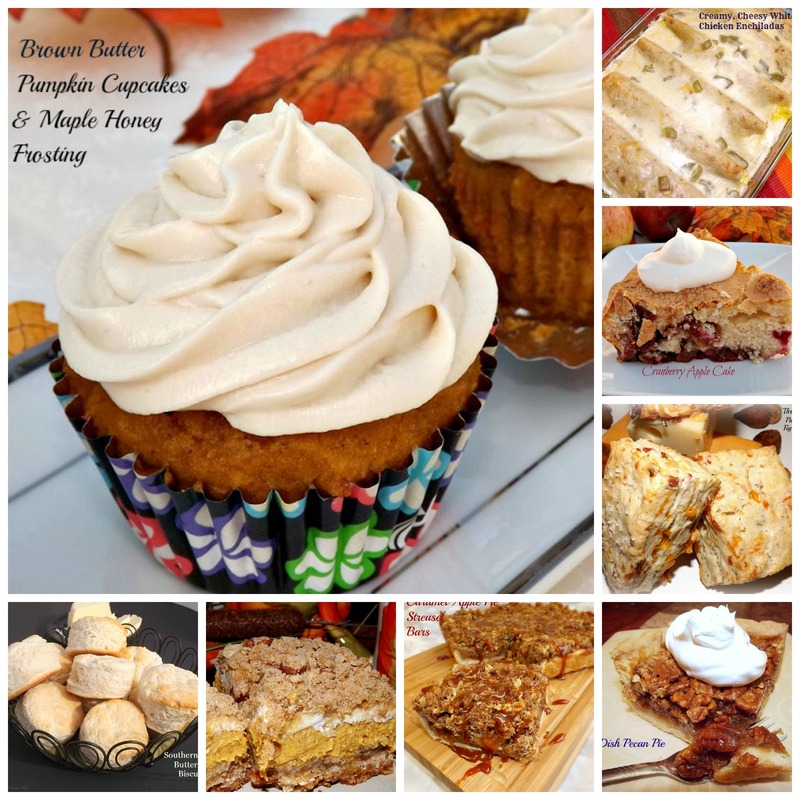 I make them all year round, but they are a perfect way to use up leftovers. Everyone makes soup after Thanksgiving. But I have one here that doesn’t need to have you simmering stock for hours on end. 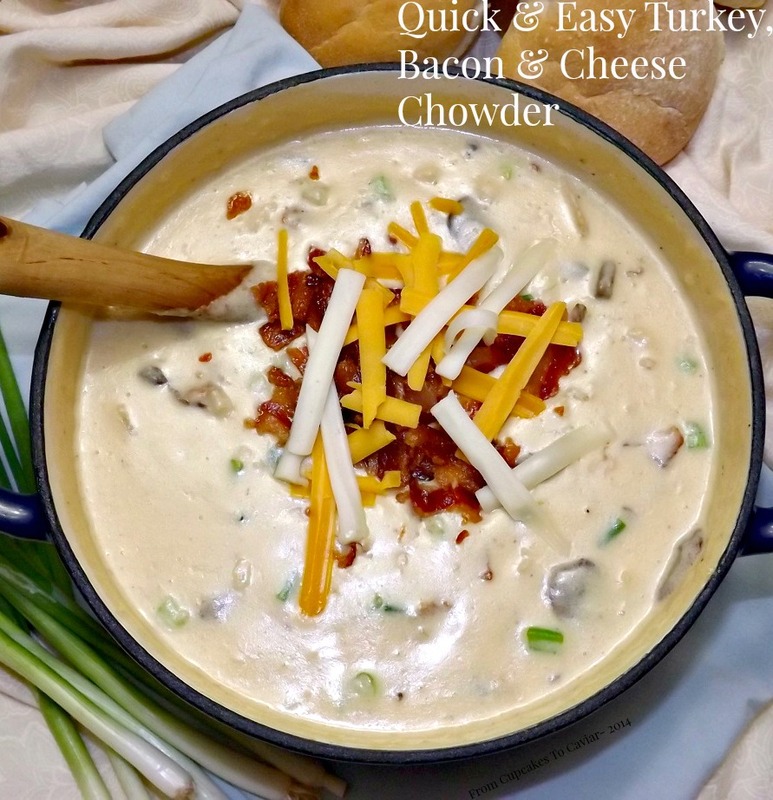 I can eat a boatload of my Quick And Easy Turkey, Bacon And Cheese Chowder. This is comfort food at its best and it doesn’t have to cook for hours. Along the Mexican lines again, I almost always make a pan of White Chicken (Turkey) Enchiladas in the week after Thanksgiving. These are soooo darn good and everyone scarfs them down. 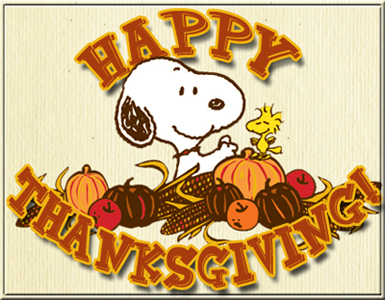 You may still have some turkey left even after those (I know I will; I always buy too much!) 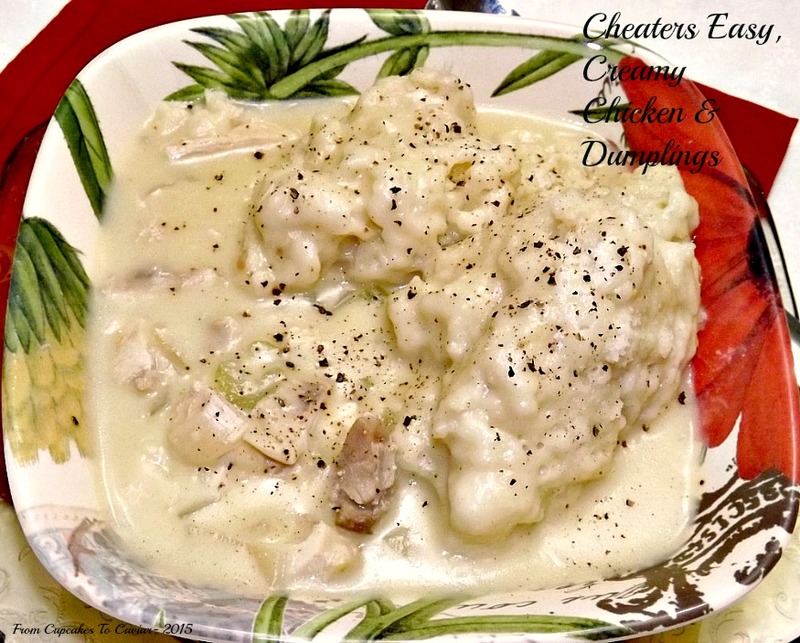 so my Cheaters Easy Chicken (Turkey) And Dumplings never fails me. 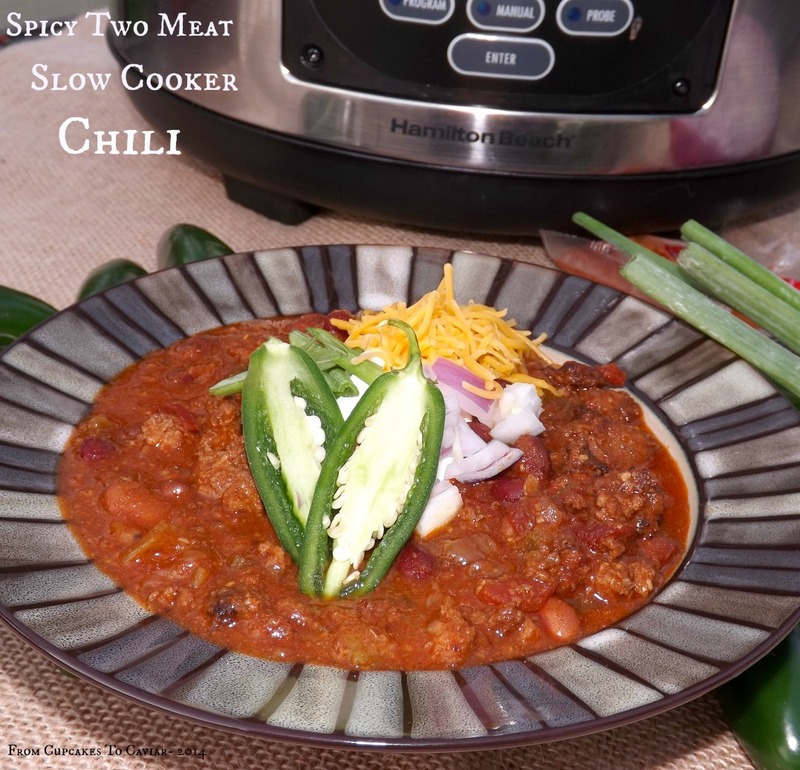 It’s warming, comforting and filling and tastes great! 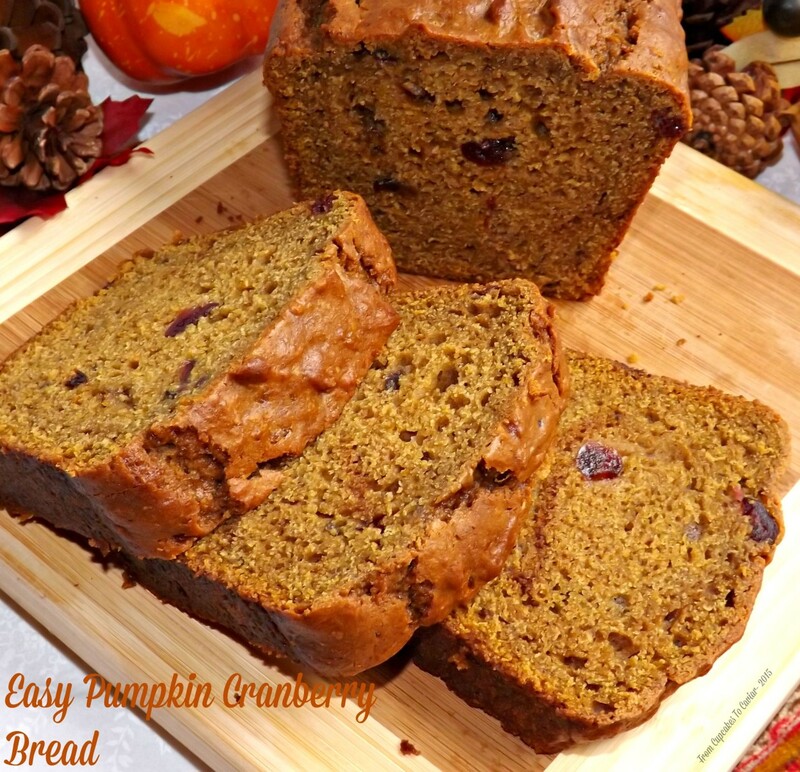 If you have leftover cranberry sauce (and you know you will), make a loaf of my Pumpkin Cranberry Bread. It’s an easy way to use up some of those leftovers and it makes a yummy breakfast or light snack. 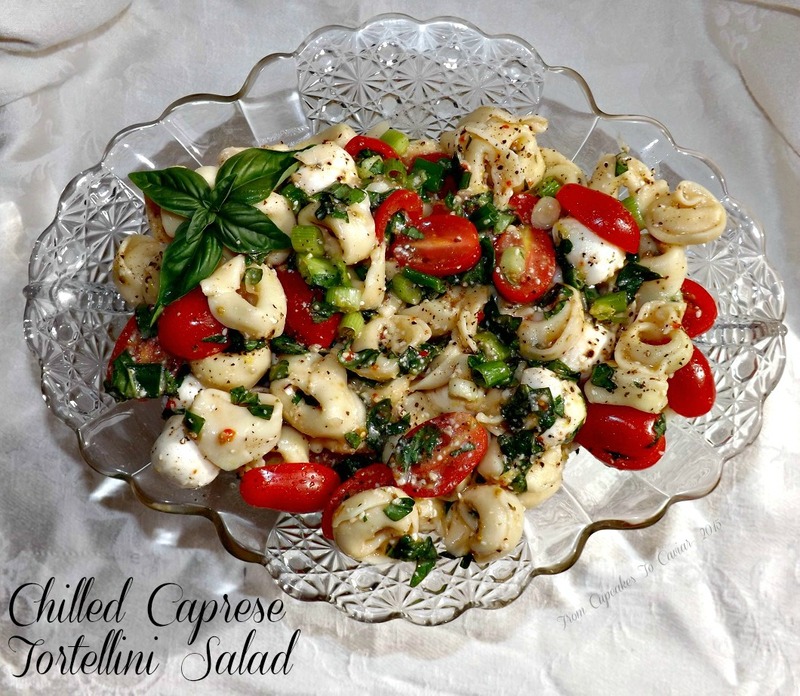 This Chilled Caprese Tortellini Salad is utterly delicious and so easy to put together. It gives you a side dish that doesn’t take a lot of work on a day when all you DO is work! We all totally love this Orange Marmalade Brown Sugar Ham Unless I’m in the mood to experiment, this is the only way I make ham anymore. It is great hot, room temp and makes excellent leftovers for sandwiches on a hearty thick sliced bread. 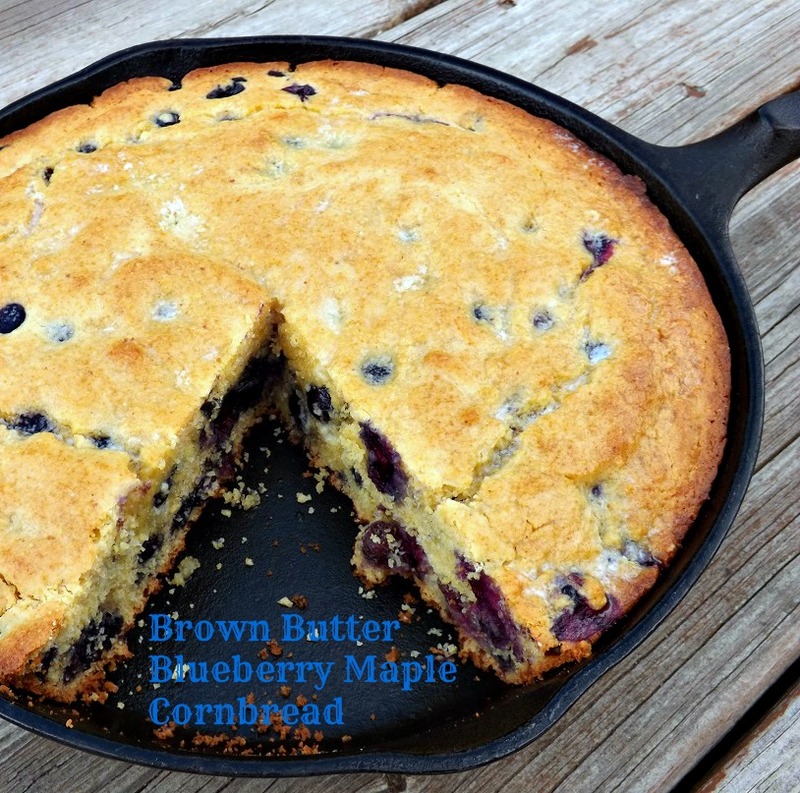 Speaking of bread :-P, this Brown Butter Blueberry Maple Cornbread may not be the type you’d make a sandwich with, but it’s oh so nice to have around! 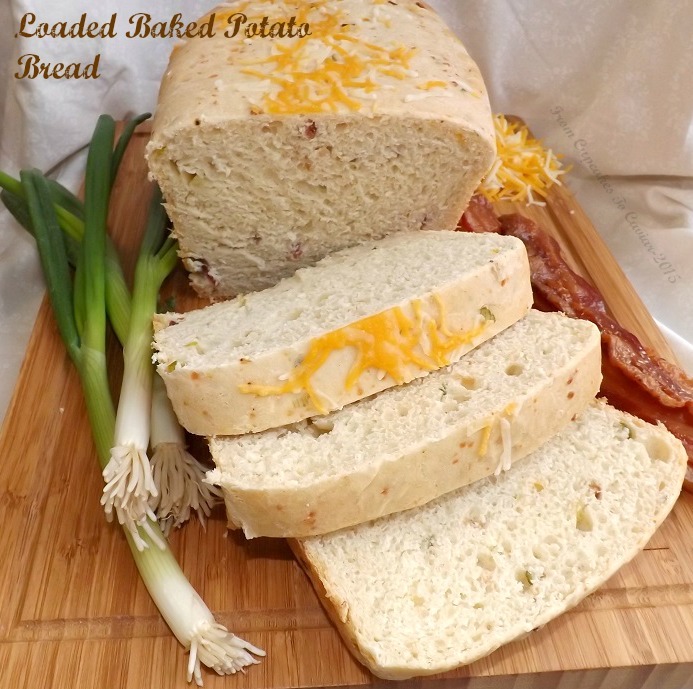 On the other hand, one of my favorites for the holidays is my Loaded Baked Potato Bread. You can make this a couple days ahead of time and it’s such a moist, sturdy bread, that all you’ll need to do is give it a gentle reheating and it will be wonderful with dinner and make great leftover turkey or ham sandwiches later. I know this is a horrid photo; it’s from one of my oldest posts, but these Oatmeal Rolls are amazing! 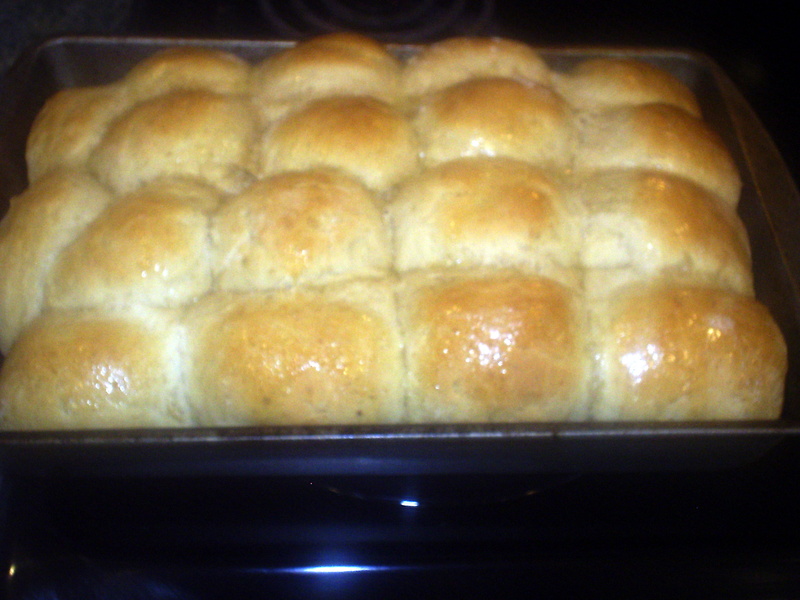 These are my family’s favorite rolls, ones that I turn to anytime I want rolls instead of loaf bread. You can’t tell the oats are in there, but they add so much flavor and moistness. I always recommend these for beginning yeast bakers. I have yet to meet a person who doesn’t love this Old Fashioned Chocolate Cake With Chocolate Icing . It’s always a hit and a nice change from all the pumpkin and pecan everything this time of year. Or, if you’re like me, you love the flavor of fruit pies, but you hate that pesky making the crust part? 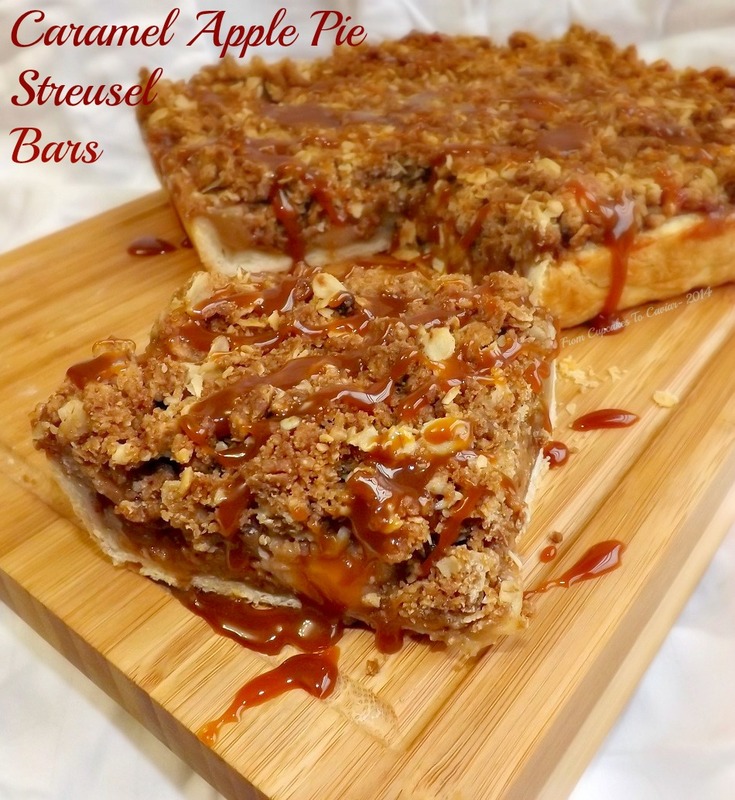 Well, forget crust… use streusel! 😛 My Old Fashioned Apple Crisp is beyond easy and one of my favorite desserts. I’ve made it multiple times in the last few weeks. Or if you want something even more old fashioned and homey, Wednesday night after all the other prep is done, throw this in the oven while you watch some TV and relax. 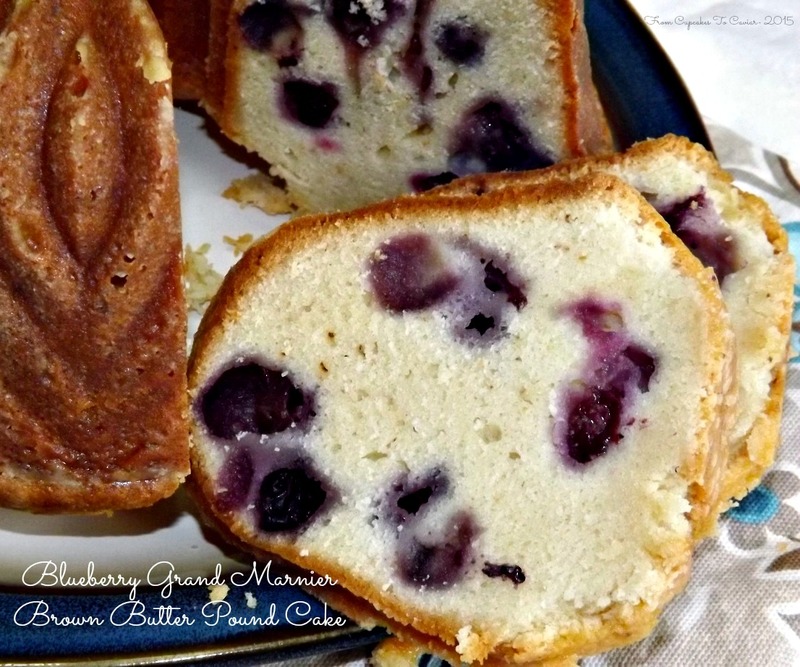 Pound cakes always go over well and this Blueberry Grand Marnier Brown Butter Pound Cake is one of the best you’ll find! You and I both know you’re going to have leftover turkey, right? 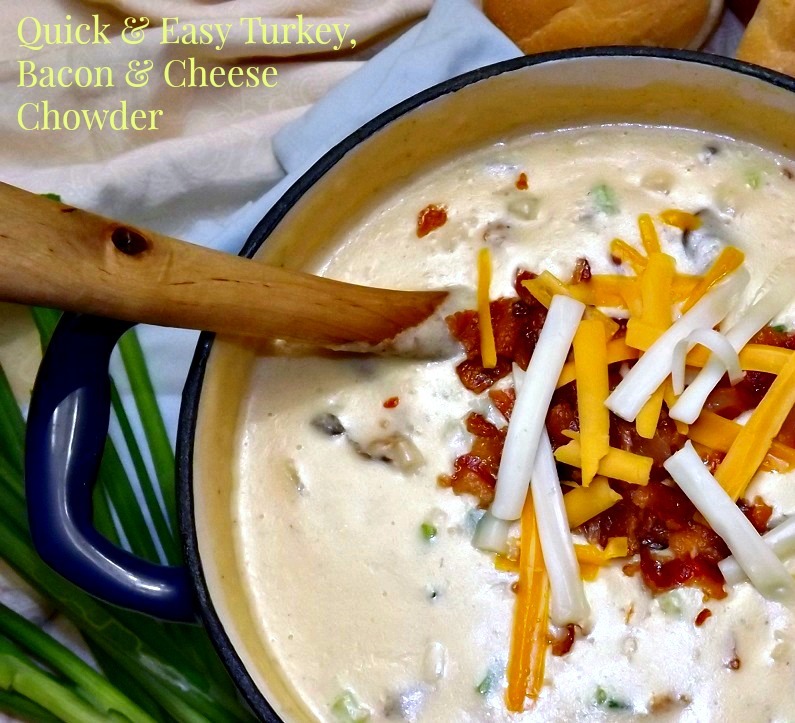 So what better way to use it up than in this Quick And Easy Turkey Bacon And Cheese Chowder ? This is fairly quick, really easy and so darn creamy and delicious, you’ll want to swim in it. 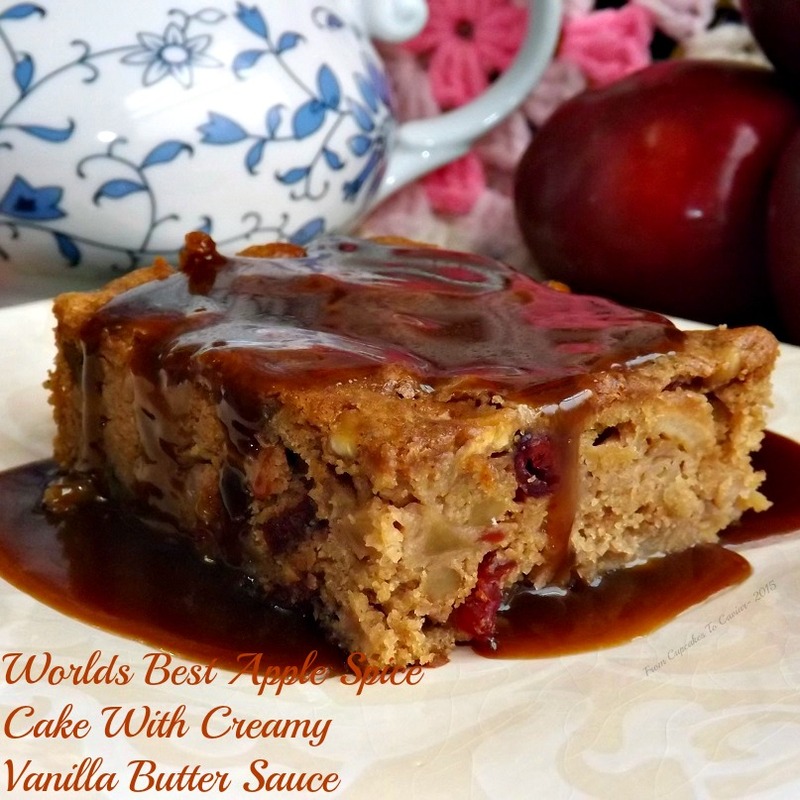 If you’re looking for another apple type dessert, you can’t beat my Worlds Best Apple Spice Cake With Vanilla Butter Sauce. Yes, I said worlds best. Would I lie to you? 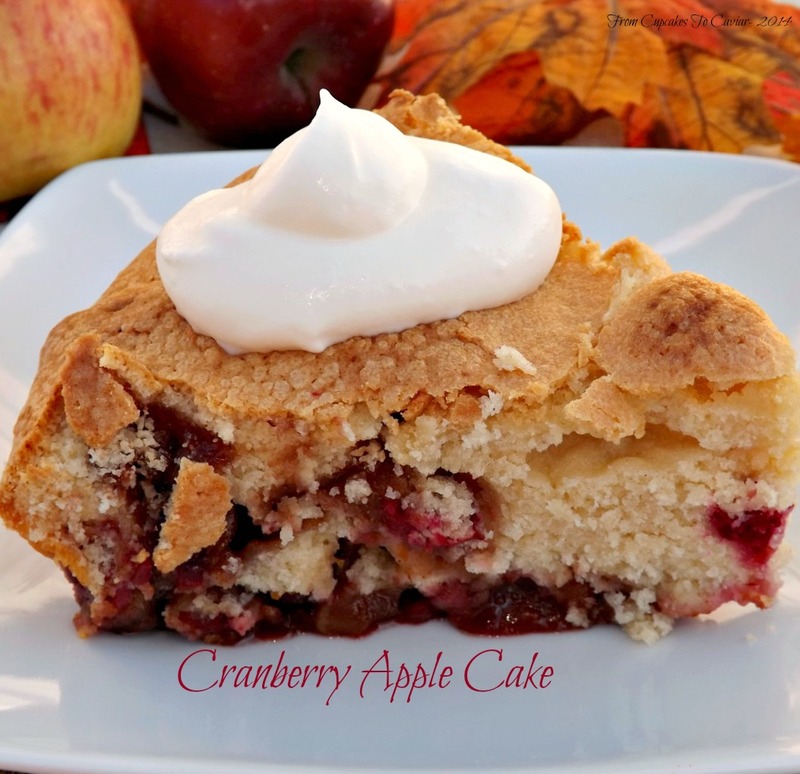 I made this Cranberry Apple Cake for the first time last year and it immediately became a family favorite! I can NOT say enough good things about this cake. Please make it or I’ll cry! And of course you need something to drink, correct? 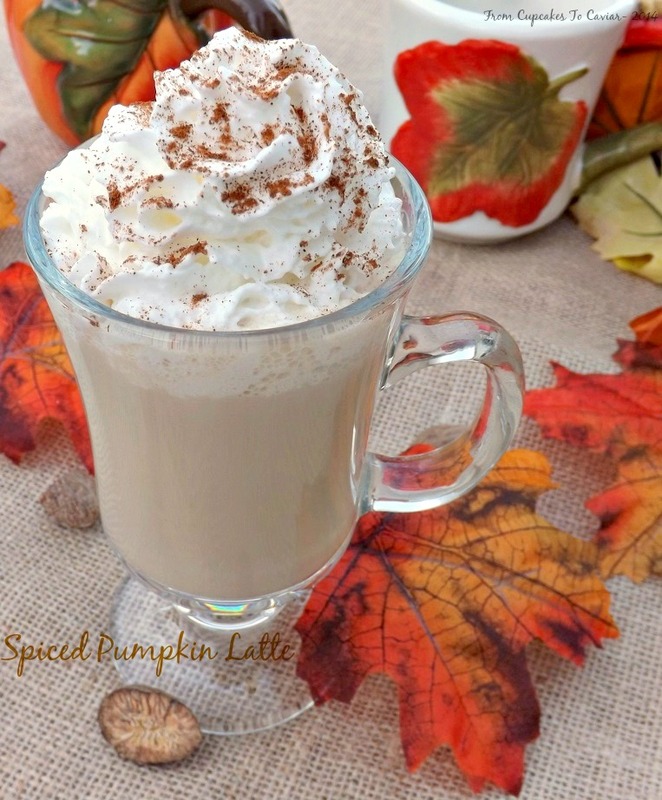 This Spiced Pumpkin Latte is a nice warming drink with the perfect flavors of the season. You could also…ahem… make this a bit more adult with a shot of something in it. Just sayin’. It’s Thanksgiving- you have to have pumpkin pie. It’s the law in all 57 states and 9,433 countries. So, if you’re going to have pumpkin pie, make sure it’s the best. This one- Decadent Extra Creamy Pumpkin Pie In A Cornmeal Crust definitely qualifies. Two last recipes for the leftovers for you. 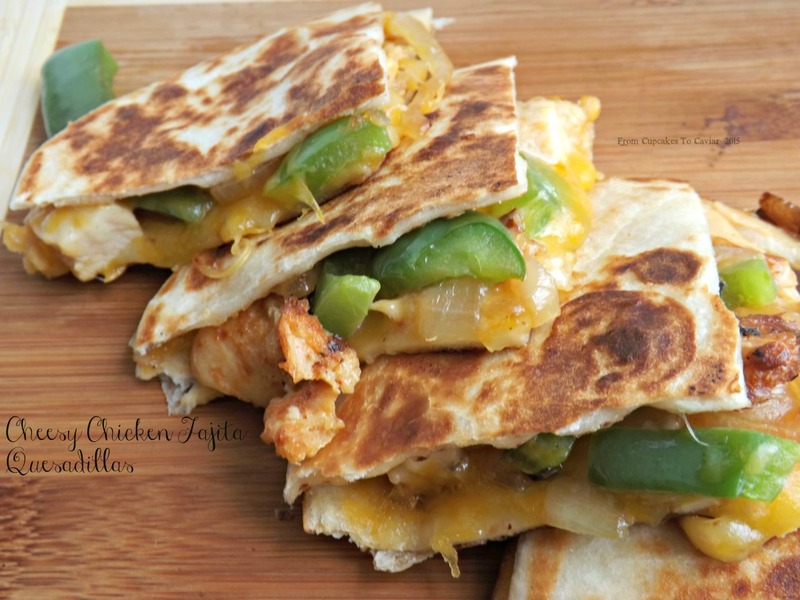 I adore these Cheesy Chicken Fajita Quesadillas . 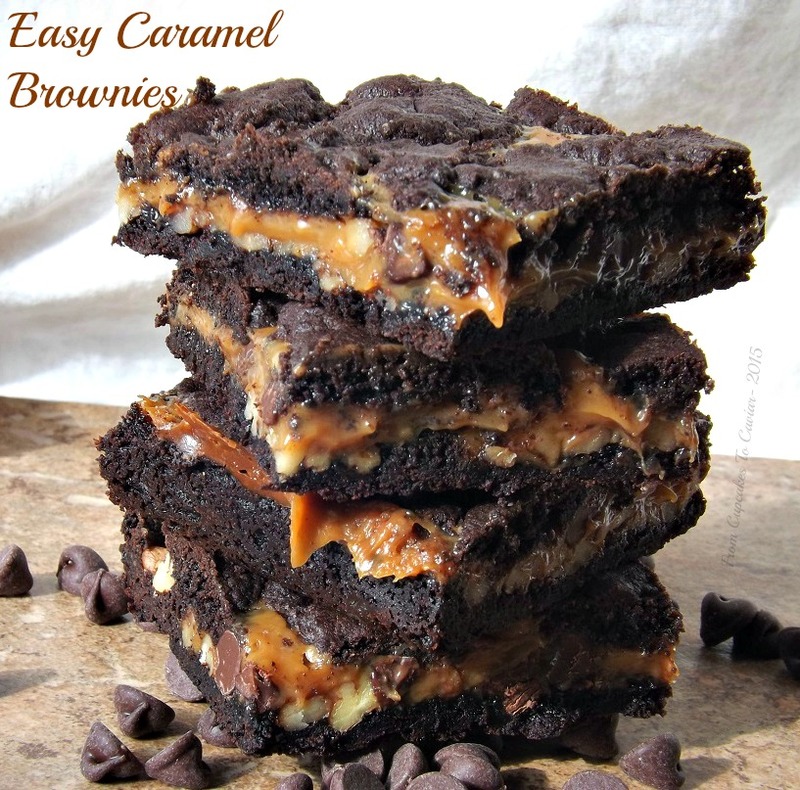 I came up with them earlier this year when I wanted something crispy yet gooey. Turkey would work just fine in here. 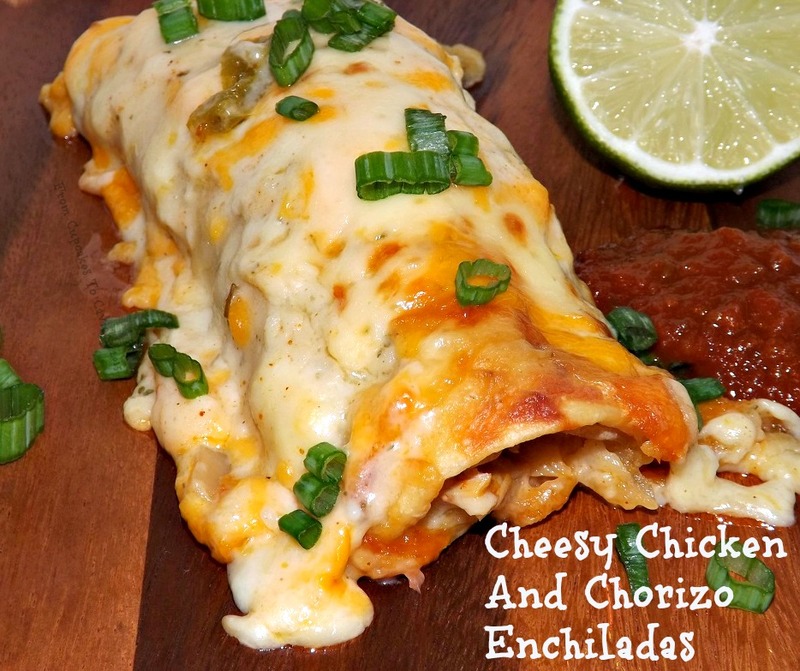 these Cheesy Chicken And Chorizo Enchiladas. These are great if you want a bit more spice than the other ones I posted. Soooooo good! Hey there everybody! 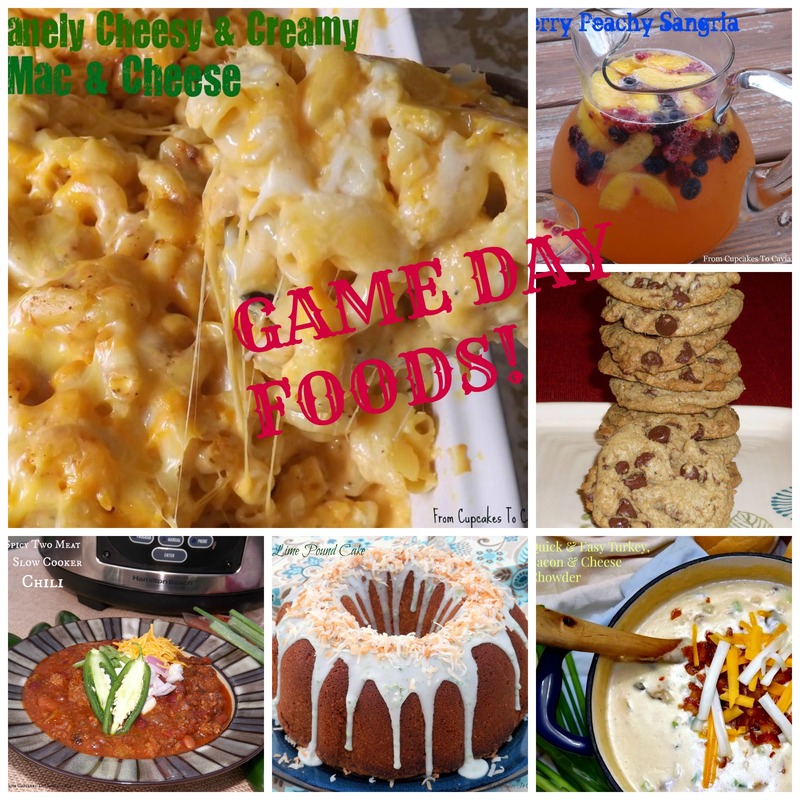 While I don’t like football, I know that many of you do and are looking for snacks, sweets and the like to serve to the hungry hordes that will be descending on your home next Sunday. So I thought I’d throw together a post. You all enjoy the game! I’ll be the one over here watching Downton Abbey and eating junk food. I know the photo for these stinks, but the skins are wonderful! 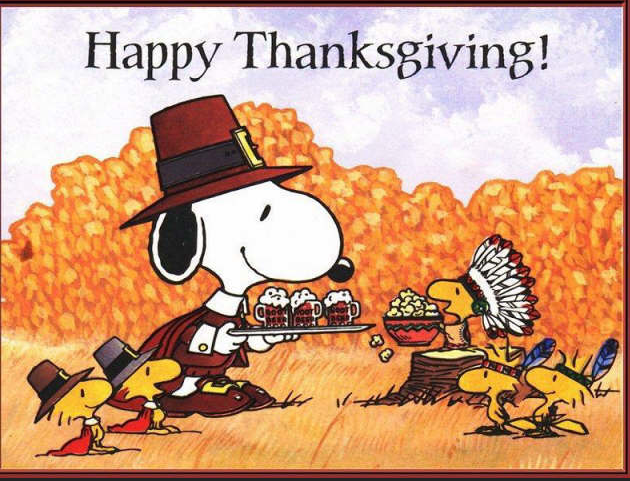 You ladies (and the spare gentleman or three), ready for Thanksgiving? Ready for leftovers, ready to OD on pumpkin? If not, I thought I’d throw together a post compiled of recipes that will help you finish getting ready for Turkey Day and one for what to do with the leftovers. Plus, I’m just tossing in a handful of my favorite Autumnal/cold weather recipes too, just because I love you and they are delicious. 😀 You’re welcome. 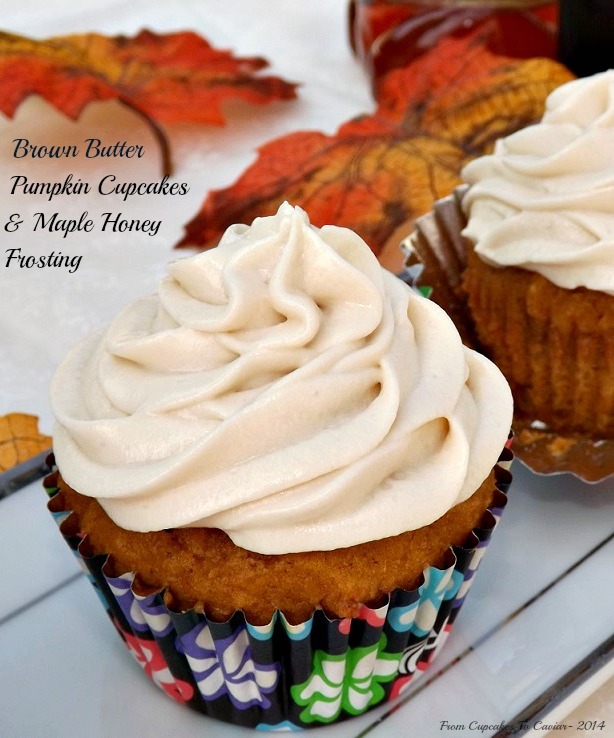 Those cupcakes are perfect if you have kids coming over for Thanksgiving or people who like treats other than the ubiquitous pies. This cake is absolutely wonderful! Even with just the five of us and three pies all ready to go, I’m making this again also. These were soooo good! A great way to use up (at the time) leftover chicken and I’m looking forward to making them again with leftover turkey. Did I mention that I’m insane and bought a 20 pound turkey for just the five of us? Yes, feel free to call the men with the little white jackets; I fully deserve that fate. Here’s another for the non pumpkin people. 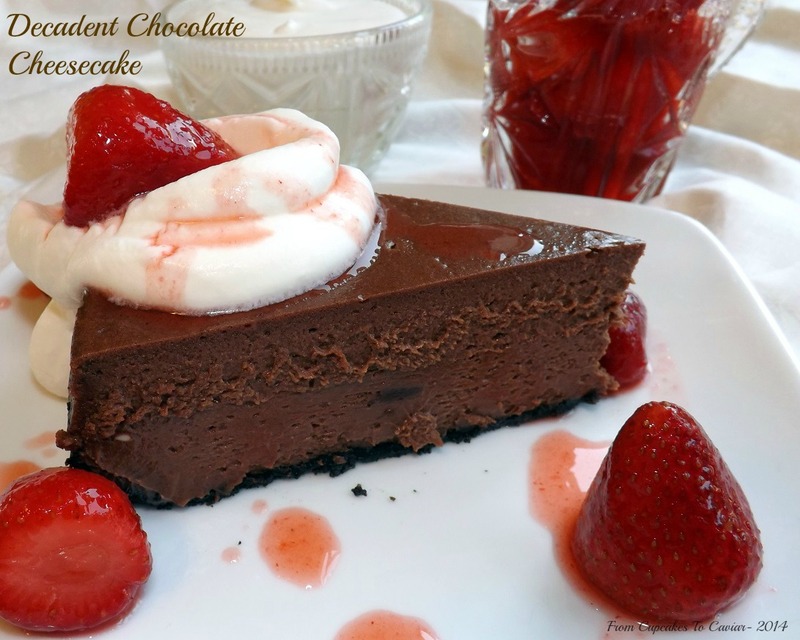 This is a wonderful cheesecake and ultra chocolatey. You have to have bread of some sort! Some people aren’t fond of yeast breads (weirdos! ), so this is a great alternative. These are our family’s favorite rolls. I know, the picture is atrocious. it was an early blog post. But don’t let that fool you. 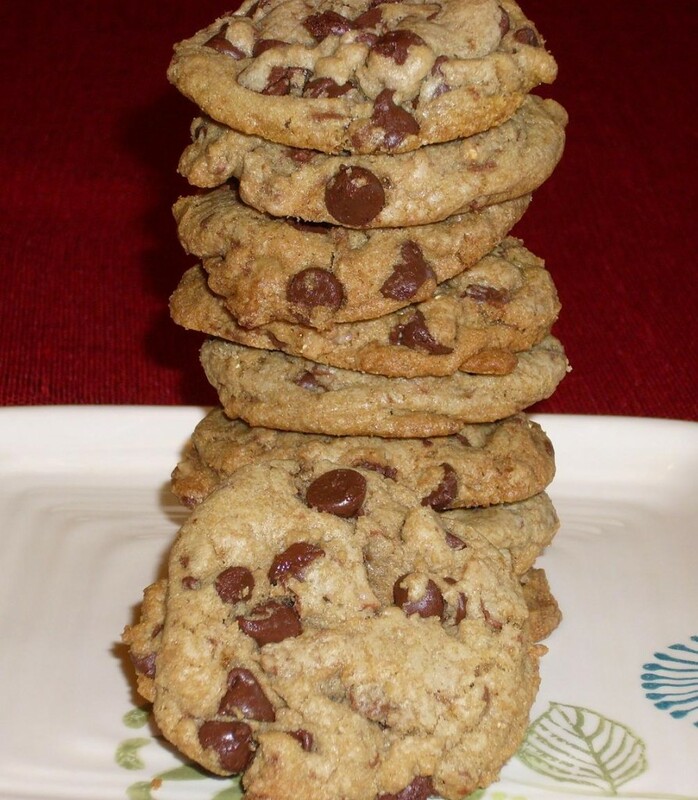 These are soft and fluffy, full of flavor and completely addictive. 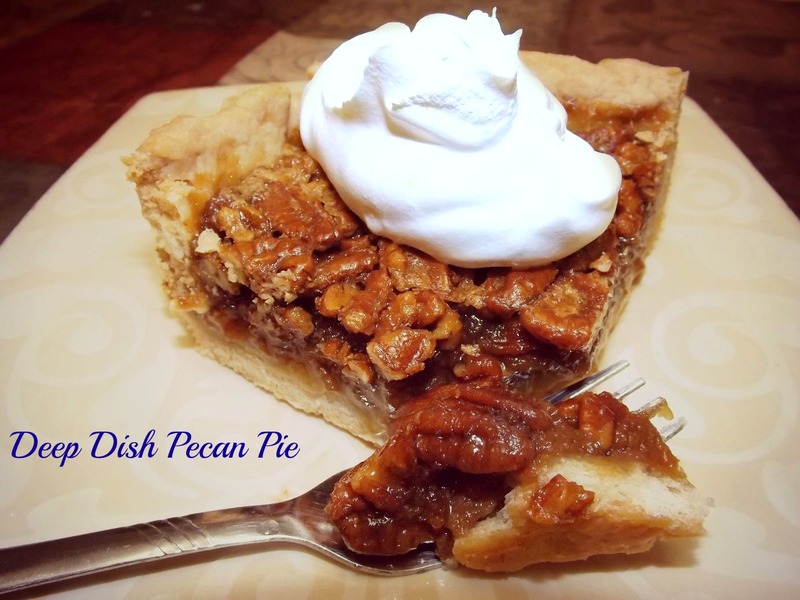 I would happily live on pecan pie if given the chance. Each year, my husband has to pry me away from the pie plate and make me eat something nutritious. 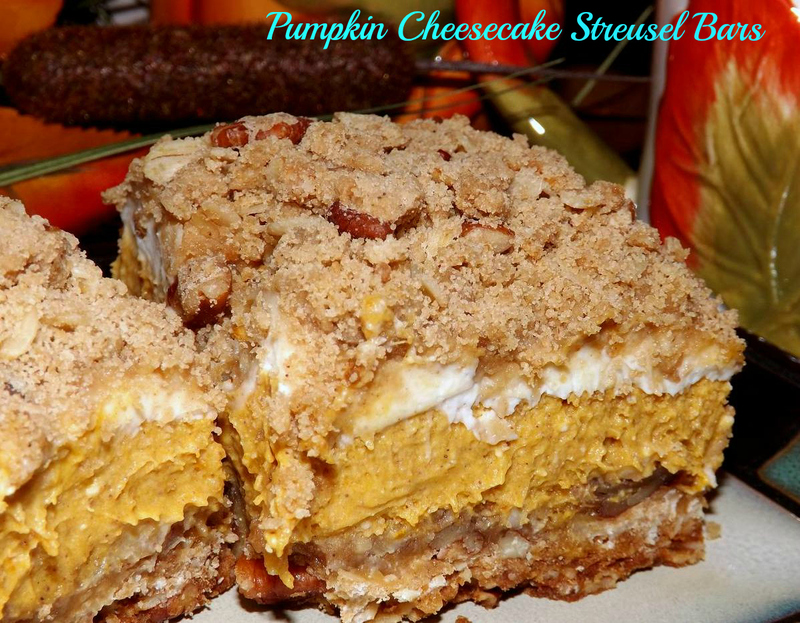 Pretty much everybody has a pumpkin pie recipe that they faithfully use every year, but you don’t have this. Trust me, you want this. Have I steered you wrong yet? Really…. do I need to say much here? Apples, caramel, streusel. Enough said. Last but not least- you have to have cranberry sauce. Make this one. Again…trust me.